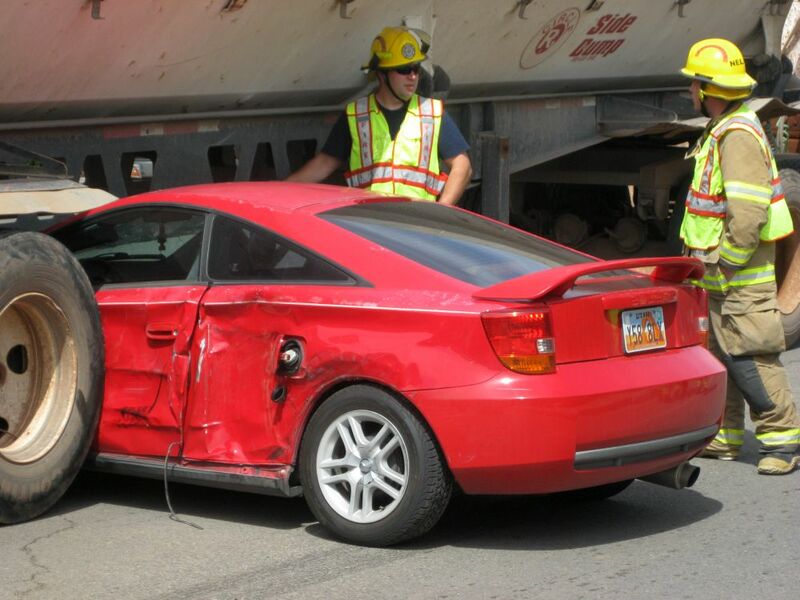 ST. GEORGE — A young woman narrowly escaped injury Monday afternoon when her car was caught underneath the rear of a semitrailer on East Riverside Drive in St. George and dragged hundreds of feet before the semi driver realized there was a problem. The red Toyota Celica and the semitruck, pulling two side dump trailers, were both traveling north on River Road and attempting to make a right turn onto East Riverside Drive, St. George Police Sgt. Sam Despain said. The car was located in the right lane in the driver’s blind spot, and, when the truck swung wide to make the turn, the car got wedged under the rear of the trailer, Despain said. The semitrailer dragged the car for approximately 300 feet before the driver stopped after seeing the Celica was trapped. 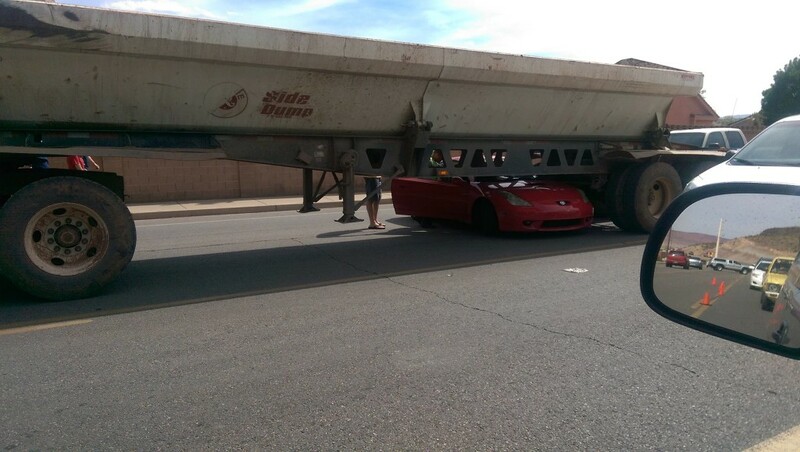 No injuries as a result of the collision were reported, Despain said. 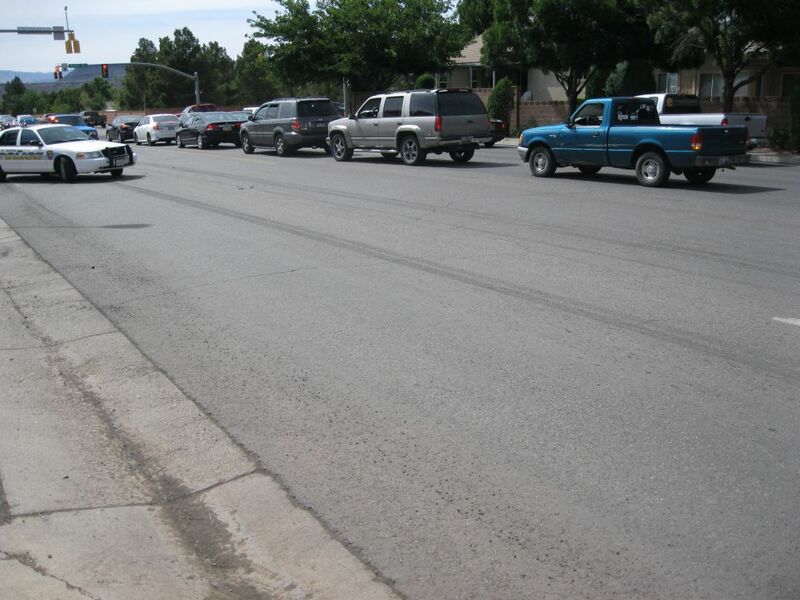 Skid marks were clearly visible on the street showing how far the Toyota had been dragged. 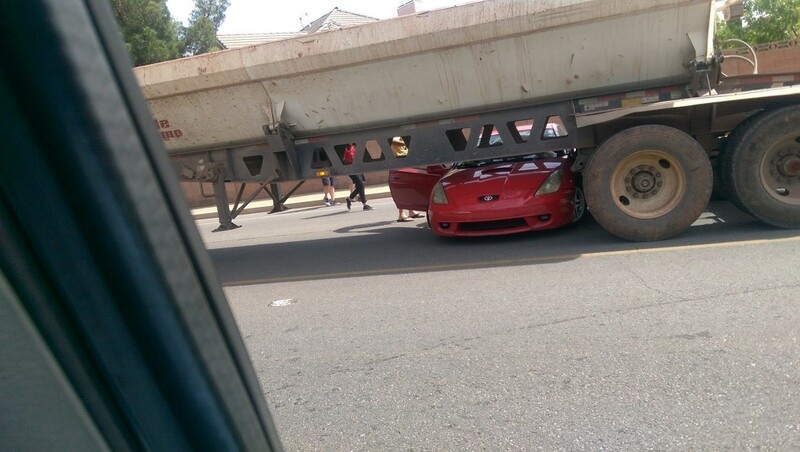 The car was wedged perpendicular to the rear trailer next to the back tires and was badly damaged. The Celica was towed from the scene, after responders were able to get the car loose. The semitrailer driver was issued a citation for failure to use a turn signal, Despain said.